ASHLEY & CREW: april desktop + wallpaper(s)!! and it never gives up. 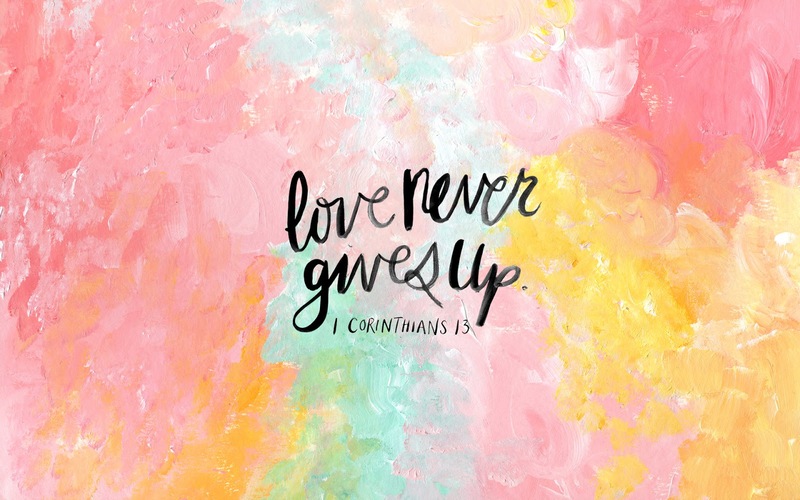 i love this so much, not because i excel so wonderfully at loving [because i don't, insert frustrated emoticon], but because this tells me that my God, who is all powerful, all knowing, sees and knows me exactly how i am and He will never give up on me. that truth is so freeing but it's probably the one thing i forget most. i feel like that's why legalism is so accepted and overlooked - because we're constantly trying to validate ourselves in God's eyes, in our own eyes, and in man's eyes. 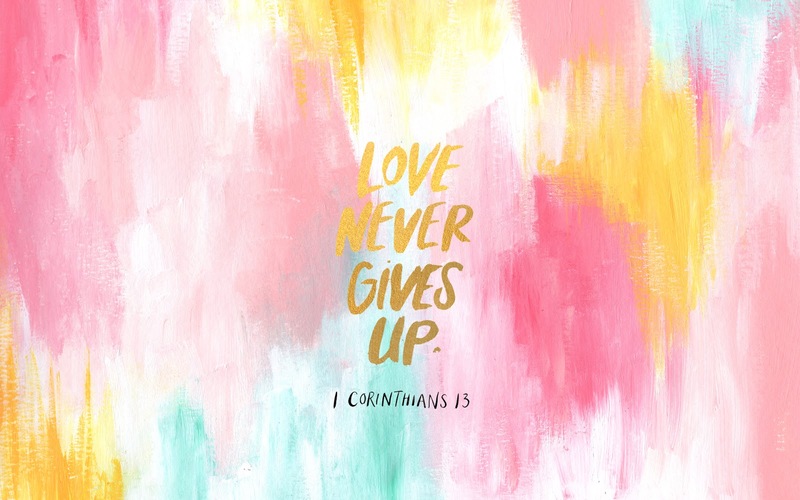 because deep down, we know we've messed up so many lame times that one of these days God's just going to throw in the towel with us.... but He won't stop loving us or pursuing us. "for i am convinced that neither death nor life, nor angels nor principalities nor powers, nor things present nor things to come, nor height nor depth, nor any other created thing, shall be able to separate us from the love of God which is in Christ Jesus our Lord." He chases after us, and when He's caught us for the millionth time, He loves us just the same. He weeps over us when we deny His love, but He welcomes us into His grace and forgiveness over and over again, without holding any record of the wrongs we've done. i recently heard pastor tim chaddick say that Christ's love doesn't take us away from people, it pushes us toward them - it propels us into compassion. Christ left heaven to be in the midst of people - He didn't separate himself, He lived among them and loved them - even though He knew we were going to mock him, reject him, and kill him. 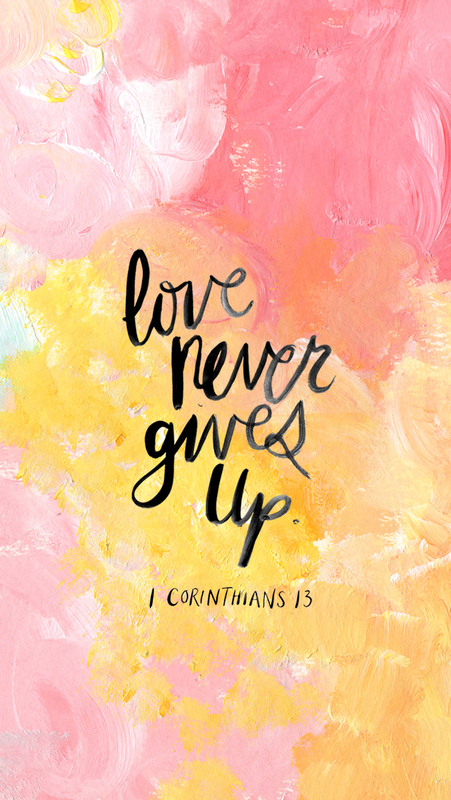 His love is not contingent on circumstance... it is constant because He is constant. 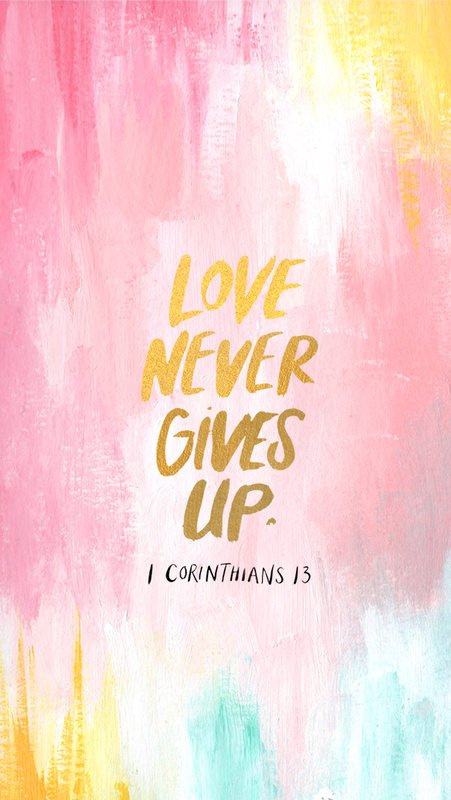 His love inspires me to do everything i can to share that same sacrificial love with others - my husband, my family, my friends, my enemies - to love them without strings attached, without selfish motives, without tallies and stars.... without giving up. happy easter month! love you all so much, xo! Thank you again for creating these. I'll miss the tree rings wallpaper, but this looks more like Easter and spring.